Culinary Education in OCET can provide a range of instruction, from the home culinary enthusiast to the kitchen professional seeking gain knowledge to succeed. 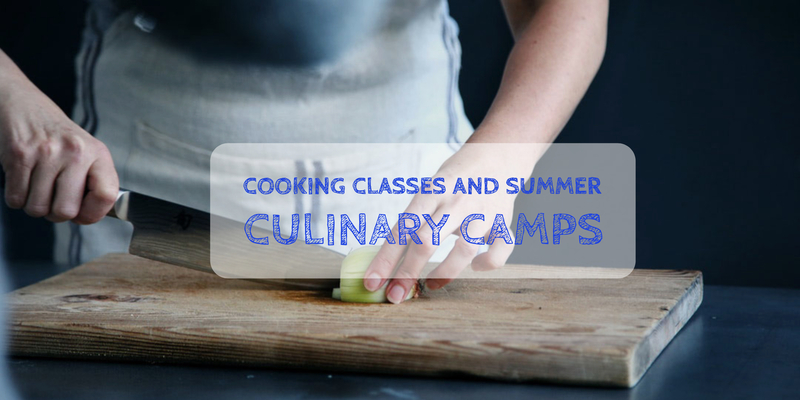 We have cooking classes for anyone that wants to learn something new in the kitchen. 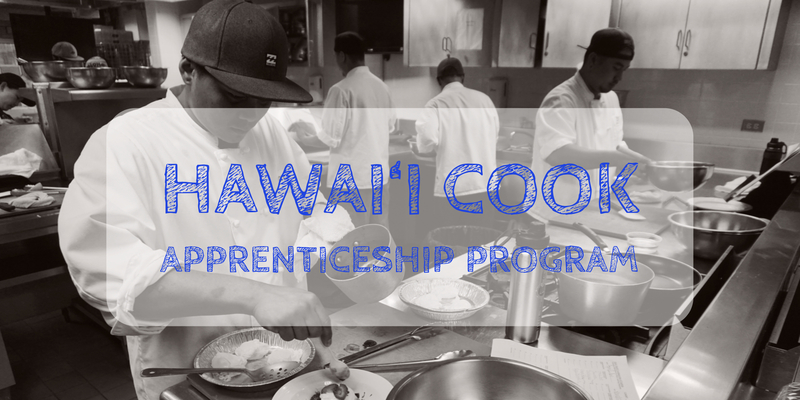 We also have apprenticeships for cooks in the food industry that want free, formal training with our Hawai‘i Cook Apprenticeship and Go Cook Programs. Weʻve also launched the Culinarium: Team Building Series, designed for executive teams to promote cohesion and camaraderie through pressure-cooker style kitchen challenges in the all-new Culinary Institute of the Pacific. Have a look at what is on the table. 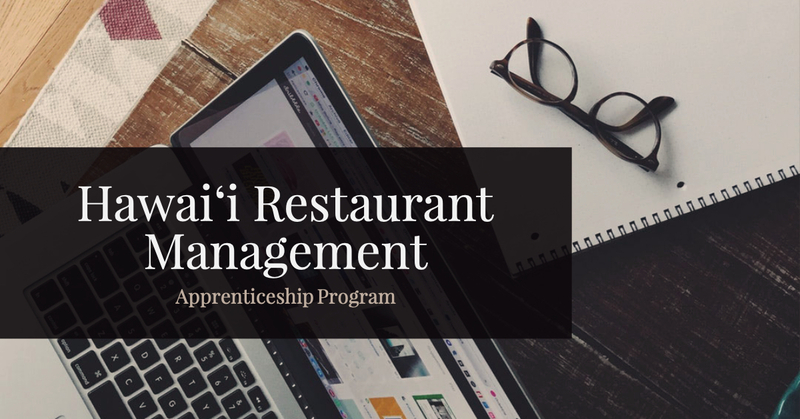 HIMAP is a brand new program designed to train participants in restaurant managment. This 25-week, online program is free to anyone in the industry and meets the criteria for canadidates. Find out more. Learn to Cook amazing meals at home by learning from the best chefs on the island. 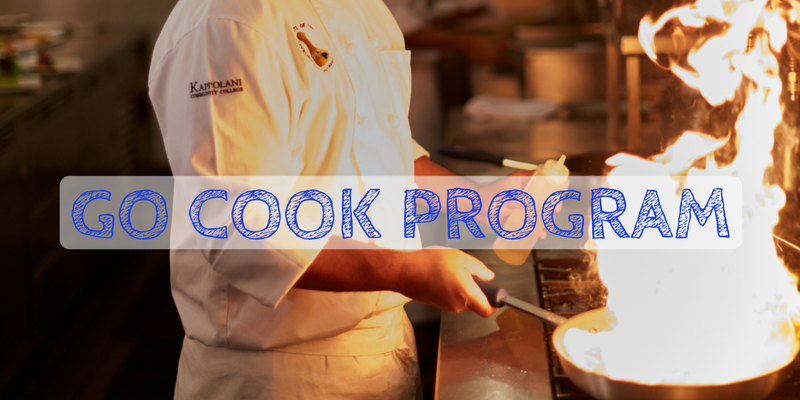 Employees receive free culinary training from one of the best schools in the Pacific region that lead to career advancement and higher paying positions. Click to Learn More. Fast-track training for candidates who want to work hard to learn and grow in the Culinary Arts. Click for details. Dress code: As a safety precaution, participants in all culinary classes are encouraged to wear covered, non-slip shoes (e.g. tennis shoes) and comfortable long pants. Aprons or any other personal items may also be brought to class. The college, however, will not be held responsible, if such items are lost or stolen.